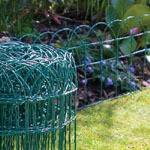 This garden netting has diamond mesh for flex and stretch into size and shape. This garden net has a mesh size of 15cm. 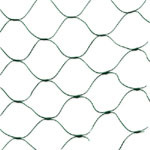 Pond netting and crop protection garden netting is non-reflective 12mm black square mesh. This garden mesh is tough extruded filament with selvedge edges for secure fixing. This garden net is 15mm diamond mesh for draping over crops. This bird netting is rot-proof and uv stabillised. 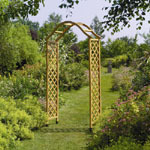 This garden arch netting fits most arches. This mesh netting encourages plant growth. 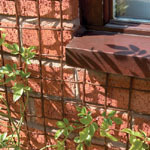 This garden mesh is a black mesh encluding fixing ties. This gutter guard stops leaves, twigs and othr debris from blocking gutters. Easy to secure with fixing clips included. These netting pegs securely fixes netting and mesh to the ground. 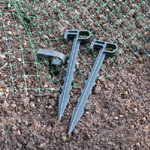 These netting pegs have finger hole for easy location with sharp easy insert spikes. This garden and plant mesh has 50mm heavy filament mesh. This durable plastic netting is suitable as a support for climbers or for general and fencing applications. This garden net has a five year guarantee. 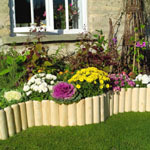 This garden mesh is strong, attractive and durable. This garden and plant mesh has 19mm heavy filament mesh. This durable plastic netting is suitable as a support for climbers or for general and fencing applications. This garden net has a five year guarantee. This garden mesh is strong, attractive and durable.